Fabulous custom built beauty on Lake Conway Chain with 5689 sq ft, 5 bedrooms, 6 baths on a breath taking lot with 270 feet of lakefront. Resort style back yard takes total advantage of this one of a kind location. Living room features breathtaking views, a fireplace and soaring 20 ft ceilings. The magazine quality kitchen will take your breath away with the high end granite, state of the art appliances, and custom stone work. Enjoy the picture perfect lake views from the bay windows in your deluxe master suite with a spectacular bathroom and giant walk in closet. This home has all the amenities you need for entertaining with a theater room, rec-room with custom built ins, family room and a mini kitchen and bar. Now for the best part, this home has one of the best yards on Lake Conway. Take full advantage of the Florida lifestyle relaxing in the glistening pool, outdoor fireplace for the cooler nights, hotel style gazebo/bar/outdoor kitchen, and down by the lake catch a sunset from your private in ground hot tub with a fire pit in the center. 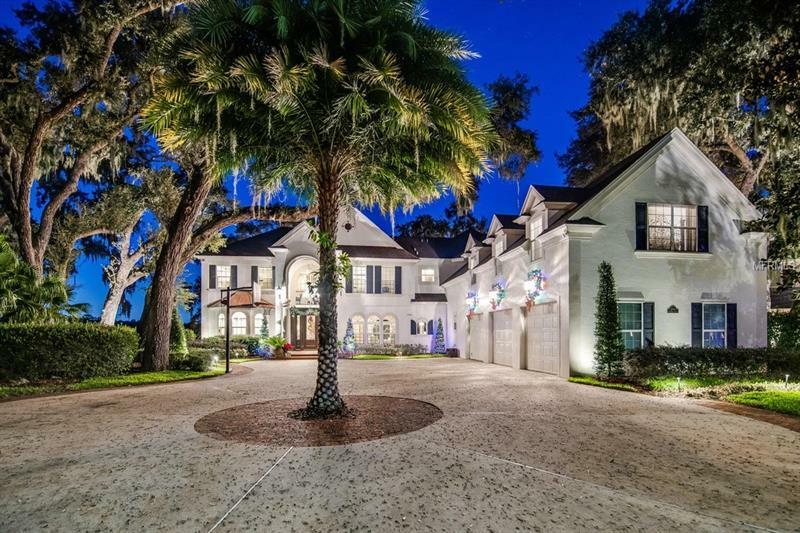 From both the street and lake this home is truly spectacular, your friends will love visiting either by boat or car. Don't wait this one is price right and ready for a new owner to love the lake front lifestyle.